Be the first to share your favorite memory, photo or story of Zoraida. This memorial page is dedicated for family, friends and future generations to celebrate the life of their loved one. MIAMI - Zoraida Morejón Rábago, 82, died Saturday November 10, 2018, of heart failure, in Boston, surrounded by her immediate family. She was wife to the late José Manuel Rábago, who predeceased her in February of 2018, and to whom she was married for 59 years. Born in the town of Los Palacios, Pinar del Río Province, Cuba in 1935, she was the daughter of the late Urbano Morejón Rodriguez of Consolación del Sur and Zoila Cruz Vento of Pinar del Río. The youngest of three siblings, she adored her father, a country gentleman who made his fortune in sugarcane, livestock, and real estate and spent her youth and young adult years on her father's plantation and ranch where she helped with the business, enjoyed horseback riding, and hosted social events. In her 20s she studied and received degrees in Fashion design and dressmaking and through the course of her professional life worked alternately as assistant designer, Dress designer, Dressmaker, and master apparel patternmaker for exclusive fashion houses, brands, and labels with headquarters in Florida and New York. She met José Manuel Rábago, of Viñales, Cuba, in the mid 1950s, and after a lengthy courtship, married in Cuba on February 14, 1959. After the Cuban revolution and subsequent confiscation of her husband's tobacco production business by the communist authorities in the 1960s and of her father's holdings, the family resolved to immigrate to the United States. Following a lengthy wait, and the departure of her brothers and their families to Spain and Latin American destinations, she and her family left the island in 1970 and settled in South Florida where they lived for many years. She relocated to Massachusetts in 2012 to be close to her children who had been residing in the state. Above and beyond professional accomplishments, Zoraida was a faithful wife, devoted mother, attentive daughter and sister, and the pillar and nexus of her immediate and extended family. Her wisdom, influence, good will, and love reached far and wide and touched all she met well into her senior years. She loved extended family gatherings, hosting many herself, where she could reconnect with siblings, nieces, nephews, their ever growing families and reminisce with those of her own generation. She was an avid reader, especially of books on nutrition, natural herbs and remedies, and a cooking enthusiast, always in search of new and exciting recipes for her family to enjoy. She was particularly devoted to her three granddaughters and their upbringing. Throughout her life she was mindful and benevolent to the poor, the less fortunate, the dispossessed and appropriately generous in her donations. A lifelong Catholic, she was a long-time supporter of the Missionary Oblates of Mary Immaculate (OMI), their work with the poor, missionary efforts, and provision of food, medicines, and shelter to victims of natural disasters. A devotee of the Sacred Heart, she also supported the missions of the Priests of the Sacred Heart. 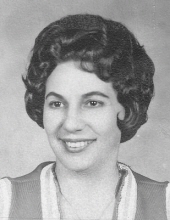 Zoraida is survived by her two children, Carlos M Rábago of Lowell, and Mercedes Rábago Delgado, and her husband José, of Tewksbury; three grandchildren, Eva Carina Delgado, Emma Celeste Delgado, and Grace Emily Delgado, of Tewksbury; her eldest brother Jorge Rolando Morejón of Miami, FL and first cousins Elena Pertierra, of Naples, FL and Nilda González of Anaheim, CA. She was predeceased by her brother Bernabé Oscar Morejón, in 2011, also of Miami, whom she helped care for. She is also survived by sisters-in-law Estrella Morejón Mas, of Miami, FL and Rosa Morejón of Ormond Beach, FL; niece and goddaughter Sonia Villavicencio of Pembroke Pines and niece Zoila Iglesias, of Miami, FL; nephews Oscar Morejón, of Ormond Beach, FL and his wife Elizabeth Morejón, and Rolando Morejón, of Miami, FL. Visiting hours are scheduled for Friday November 16th from 4:00pm to 7:00pm at the Campbell, Lee, Moody, Russell Funeral Home, 525 Cabot Street, Beverly, MA 01915. A Funeral Mass will take place on Saturday at 10:00am at St. John the Baptist Catholic Church, 17 Chestnut Street, Peabody MA 01960. The committal service and interment, following the Mass, will take place at Central Cemetery in Beverly. In lieu of flowers, donations may be sent in her memory to the Missionary Oblates of Mary Immaculate (OMI at oblatesusa.org/) or to Catholic Charities (catholiccharitiesusa.org), a non-profit doing work with refugees / immigrants, disaster relief, and Seniors locally and nationally in the US. Information, directions, condolences at www.campbellfuneral.com. To send flowers or a remembrance gift to the family of Zoraida Rabago, please visit our Tribute Store. "Email Address" would like to share the life celebration of Zoraida Rabago. Click on the "link" to go to share a favorite memory or leave a condolence message for the family.